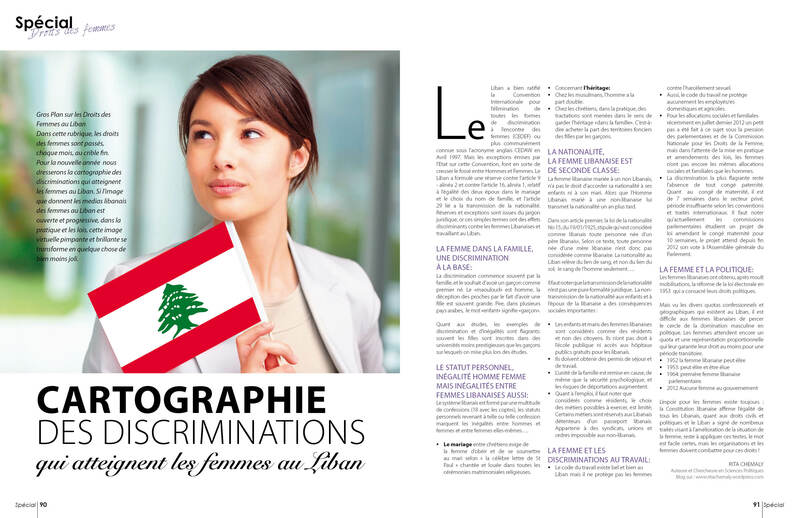 Parliamentary Commissions in Lebanon are studying the electoral law , are they considering a women quota? As Parliamentary Commissions in Lebanon are studying the electoral law , we have been invited as Women active groups to give our opinion related to the “temporary, measure” the women quota. The first question that comes to mind: are they considering a women quota? yes they do, but Under which electoral system, no body know 😦 how Lebanon will be divided in régions, the annexe was not distributed for us to review it. what is a quota for women, here is an extract from Atlas of Electoral Gender Quotas © International Institute for Democracy and Electoral Assistance 2014. 1. Legislated candidate quotas – These quotas regulate the gender composition of the candidate lists and are binding by law for all political parties in the election; they are mandated either through national constitutions or by electoral legislation. 2. Legislated ‘reserved seats’ – These measures regulate by law the gender composition of elected bodies, by reserving a certain number or percentage of seats for women members, implemented through special electoral procedures; they are mandated either through national constitutions or by electoral legislation. 3. Party quotas (also called voluntary party quotas) – These quotas are adopted by individual parties for their own candidate lists, and are usually enshrined in party statutes and rules.